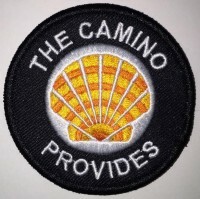 The WordPress.com stats helper monkeys prepared a 2015 annual report for this blog, TheCaminoProvides.com. Thanks for following! The concert hall at the Sydney Opera House holds 2,700 people. This blog was viewed about 13,000 times in 2015. If it were a concert at Sydney Opera House, it would take about 5 sold-out performances for that many people to see it. Thank you Mystical Writer! Happy 2016 to you as well!